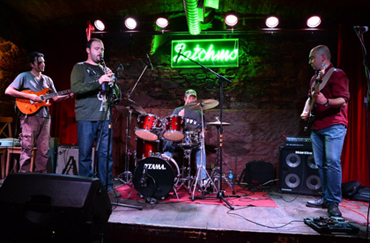 Kabadayas is latest of the vast varieties of bands that came throughout the years from Macedonia. The unit is a four member formation of the countries most versatile musicians. Kabadayas’ music genre itself is a mixture of the country’s traditional melodic and rhythmical expressions that breaks boundaries by reaching deeply into the spheres of jazz fusion/funk/drum & bass and dub music. The icing of the “cake” is the sound of leading clarinet mastermind sound which can be simply described as Gasparijan meets 21st century jazzy club scene. The basic strength of the band is in its firm rhythm section performed by the two of the countries most experienced musicians. Djoles sound ranges from heavy duty and funky bass to melodic fretless scales played with the inventive use of bass synthesizer, octave and fuzz pedals which perfectly collaborate with Dinos imaginative range of rhythm innovations and percussion sets. Zorans guitar covers the harmonic side of the music, allowing a true perfection of the tonality of the themes. His modern guitar technique reminds of Henderson’s and Scofields visionary approach on the expressive side of the instrument. All the above brings us to the “sound that bounds” in Gorans clarinet virtuosity. 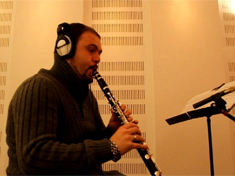 Emotional in it self as an instrument now combined with Gorans academic talent, Kabadayas’ clarinet gives the listener an emotional rollercoaster in sound experience from far eastern magic to “be bop” rush of the west. Djole started his career in the early 90’s playing and recording with various bands. He was a member of one of the leading Macedonian band Arhangel. As a co-composer he shows his talent on the albums of Seth and Beneventan Trio. For the past 12 years he performs and records with worldly renowned names like Vlatko Stefanovski, Jan Akkerman, Teodosij Spasov and Stefan Milenkovic. 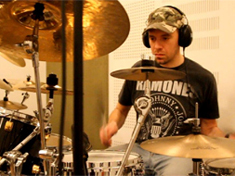 Dino, which in the beginning of his musical career was considered as the most promising drummer and percussionist, proved that status playing vast styles of music from electro funk, drum and bass to jazz fusion with names like Vlatko Stefanovski Trio, Teodosij Spasov, Stefan Milenkovic, Kiril Djajkovski and Infuse. 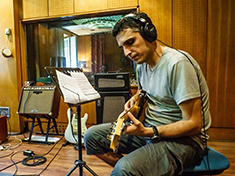 Alongside Djole he plays on the albums of Seth and Beneventan Trio and most importantly together they collaborated on the recording of Vlatko Stefanovskis blues album “Thunder from the blue sky” featuring Jan Akkerman. 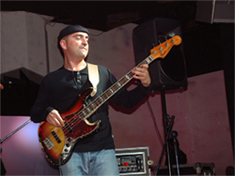 Zoran’s career is well established both as a studio musician and as a concert/gig player. He works as a guitarist in MRT an ZJM big band and played as a sideman with numerous artists and pop stars ,but recently concentrates on his personal inventiveness participating in bands like Kabadayas where his musical expression is on its highest level. Goran is an established European musician and a MA at Mozart University in Salzburg. He wrote a suite for an orchestra and five soloists in 2011 which was rewarded as a concert of the year in Slovenia where he currently lives. He collaborates with Vlatko Stefanovski and Terra Folk and most recently with Kabadayas. Their debut album called “lV” is out now. However the band did not took a break from the studio work. Furthermore they spent the summer promoting the material touring through out the country. A larger scale of tour dates through out Europe is going to be announced.